A deadly amoeba showed up in a drinking water sample in Bossier City, La. last October. If inhaled by humans, the amoeba, Naegleria fowleri, can eat brain tissue — which nearly always results in death. Fortunately, no associated illnesses were reported locally. Still, to ensure the water supply’s safety, officials flushed the system with chlorine for 60 days, through late December. The city and state are in the process of testing the water to check that the amoeba is gone. The incident in Bossier City likely will amount to nothing, but similar water contamination incidents might prove dangerous. Bacteria and other microbes typically thrive in warm water, which especially heightens the risk in urban regions where temperatures now routinely spike into the 100s as the Earth heats up. Even more concerning are recent findings that concentrations of chlorine, the go-to tool for disinfecting drinking water, may diminish too quickly at higher temperatures to be effective. In one recent study, researchers simulated water systems in two hot U.S. cities, Phoenix and Las Vegas. 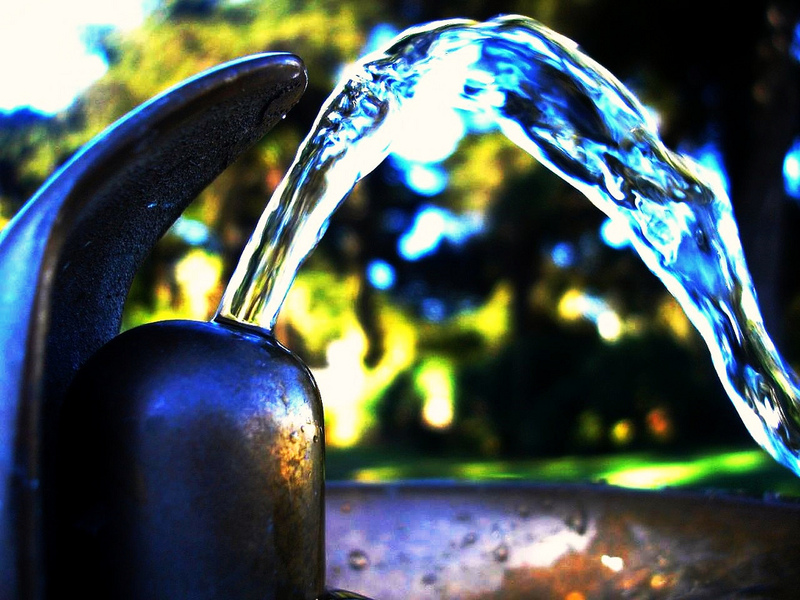 They found that warmer water was linked to increased pipe deterioration and challenges in keeping drinking water clean and safe for consumers. As global warming proceeds virtually unchecked, insights like these are helping cities identify and prioritize the weak spots in water systems and design pipes to last longer in a hotter future. Nonetheless, in about 30 years, consumers may see increased occurrences of interruptions in water service, whether that’s from broken pipes or malfunctioning pumping stations, says Emily Bondank, a co-author of a recent water systems and rising temperatures study, published in August 2018 in the journal Environmental Science & Technology. “If utilities don’t start looking into the future, they could see their systems deteriorating in faster ways than they could have predicted,” says Bondank, a graduate researcher in civil and environmental engineering at Arizona State University. Bondank and her colleagues used average daily summer projections from 2020 to 2050 for Las Vegas and Phoenix, a temperature range of 96.8 to 111.2 degrees Fahrenheit. They found that interruptions in water services could as much as double over this time, using models of events such as pipe corrosion, water pressure loss and chlorine shortage in the water. Bondank says her modeling incorporates various equations for pipes, water quality and other distribution infrastructure into a single model, so that water managers can compare outcomes for different temperature-related vulnerabilities and prioritize what needs addressing first. Many cities are already aware of the problem and are responding to local conditions and findings. Phoenix Water Services Department buys special pumps, motors and electronics rated for higher temperatures, explained Troy Hayes, the assistant water services director for the city. Planning for an uncertain future is a daunting task for utilities departments. Kavita Heyn, the climate science program manager at the Portland Water Bureau in Oregon, says it’s unknown how and when climate change will affect the water cycle. One point of uncertainty is the variability in seasons from year to year. For example, rainfall in May typically fills Portland’s reservoirs. In 2018, however, barely any rain fell in May. Most U.S. cities lack the money to fix or replace deteriorating pipes, pump stations and treatment plants. “The struggle is aging infrastructure, and having the resources that we need to replace and rehabilitate the infrastructure,” Hayes says. A capital improvement program in Phoenix is working on replacing the pipeline infrastructure to last for generations to come — perhaps up to a century, depending on the material it’s built with. But not fixing the system and dealing with issues on a case by case basis could be costly too. “Preventing and dealing with fails as they happen will likely put a strain on already strained budgets,” says Chester. Although what a hotter future will exactly look like is uncertain, water utilities can use available tools to help plan, Heyn says. The Environmental Protection Agency, for example, offers resources to help analyze risks and costs for replacing flooded or damaged aspects of water distribution systems like a treatment plant. *Correction, Feb. 3: The original version of this article incorrectly identified the year Portland experienced unusually little rain. That year was 2018.